He asked his girlfriend to take care of the dog. She said since doggie missed Halloween, it was time to treat him. 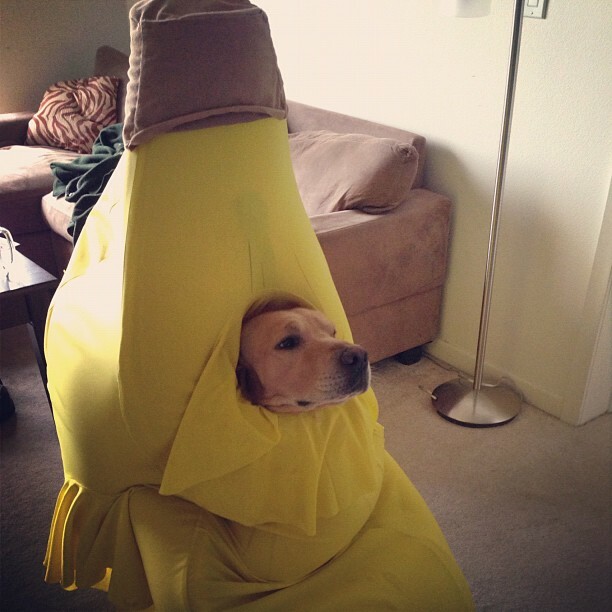 Why do we think the dog isn’t all that thrilled to be dressed up as a banana? Couldn’t she find a costume that would give him a bit more leg room?